This year's Lucky 13 presented by Elephant & Castle had the best weather by far! Sunshine, warm in the low 70's, and the lightest breeze ever was almost to good to be true. The weather was the hot topic throughout the tournament. Players remembering so many of the past Lucky 13's that had wind, rain, cold, etc. The beautiful day was great and made the tournament even more fun than normal. I'd like to thank our sponsors that allowed us to make this event happen: along with our title sponsor Elephant & Castle, Little Caesars Pizza, PSC Accounting (Michelle & Craig Goldsberry), Deaf Disc Golf Association, Fossa and Fimco Steel. A huge thank you from DGM and all the players. We know without you the Lucky 13 couldn't have happened! It was again awesome to have the Kirk family at the event. Mariah playing in the Open Women's division, River playing in the Open Men's division, and Kirk all over the Photo Division (Lol). Seriously though, everyone appreciated seeing themselves throw and you are doing a great job Kirk. From all the players. Thank you! This year we had 11 divisions including 3 Women's divisions with 8 ladies and a young Juniors division with 2 brothers competing (Jayden and Ben). Having such a huge variety of players is very special and I am so thankful that so many skilled players feel comfortable enough to come play the Monkey Tour events. As always Miller Park's Lucky 13 course is partially redesigned (10 holes are played the same). We cover one permanent target, we add 6 temp holes making it have the tournament standard 18. All the field except the Juniors played two rounds of 18. Ben and Jayden played two rounds of 6. One round was played at lunch and one round was played after the last 18 were played by the main field. Jayden, the older brother, won 1st place with Ben only a few behind. It was remarkable to see these kids throw. Both Kyle McClure and myself were impressed and can see that these two have some potential and will be awesome if they choose to keep playing! Great Job Dad (Dustin Jones)...keep them playing! *The Men's Rec division was won by David Porter who held off Hunter and Dylan by 1. *Dustin Lankfort won by 3 over Derek Wilson. *The Advanced division was taken by David Christie in the closest battle of the day. Him and Chris Thompson of Jeff City battled into a play off where Christie pulled out the win. *Adv Grand Masters was won by Lebanon's own Brad Hilton over Kelley Warren and Dennis Dupree. *Adv Masters was won by Jeffery Spenser from deep in Arkansas. He held off Kevin Carder and JD Williams by 2. *The Pro Master Division was carved up by Dasun Keyler shooting a 97 the second best score of the tourney. *The Open and ultimate Grand Champion was Joplin's own "Clemmonade" Chris Clemmons who plays for Latitude 64. He won big turning in a 91 which was 6 better than the tie for 2nd held by Springdale's Kyle McClure (Team Monkey) and Camdenton's young Gun River Flagg! 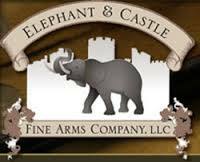 Congratulations to all others who cashed, and a big thank you for all who came out and took part in the Elephant & Castles 9th Annual Lucky 13!